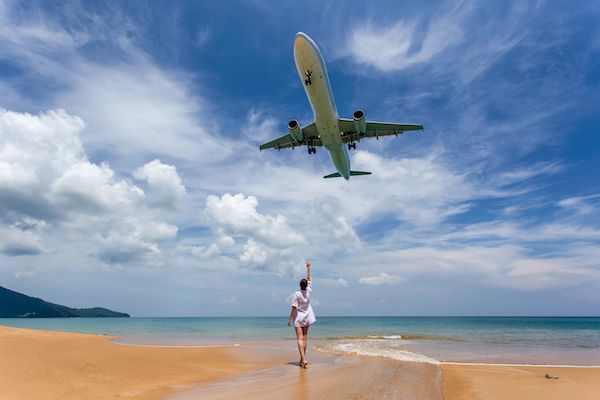 Beaches that are close to the airport have always been great tourist attractions, as people love to plane-watch while lounging on the sand. However, Thailand local officials have imposed a nine-kilometer (5.6-mile) “safety zone” at Mai Khao Beach, which is near Phuket International Airport, after the spot became too popular with Instagrammers and travel enthusiasts. The airport’s chief executive, Wichit Kaeothaithiam, told Bangkok Post that tourists will no longer be allowed to enter the restricted area. If breached, the maximum penalty is a death sentence. The area has become marked as ‘Runway 09’, since the airport is located less than 1,000 feet from the beach. While it is important to maintain tourism revenue, it is as vital to ensure the safety of the visitors as planes as well, Kaeothaithiam told Phuket News. Those interested in taking photos from the beach are able to do so further away from the runway. This way, safety will not be compromised.